Coconuts are just incredible. Not only can they be worn as brassieres (which, when paired with a fail-safe grass skirt provides the ultimate in Hawaii chic) , but the health benefits are totally other worldly. 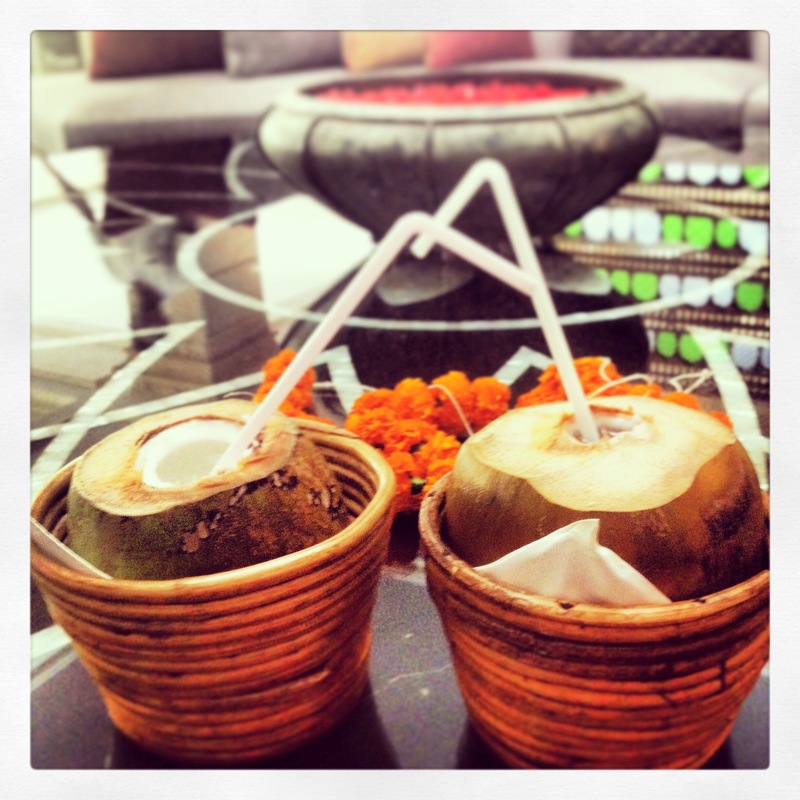 Coconuts contain lots of good fats, which lower cholesterol and reduce the risk of heart disease. It has also been suggested that they can curb your appetite and increase fat burning, so could also aid in weight loss. But there’s more. So much more. Coconuts come in many shapes and forms – we’ve listed our faves below as well as our top tips for using them. Coconut oil can be used not only in cooking, but also as a moisturiser, mouthwash, hair mask, sun screen – you name it. It’s pretty much like the whole of Boots rolled into one. We love using it to cook up a mean stir fry, or for roasting veggies. It’s also fabulous in desserts – try this three ingredient chocolate sauce for size! In a pan, combine 3 tbsp cacao power, 2 tbsp maple syrup and 4 tbsp coconut oil and stir on a low heat until all mixed together. Drizzle over buckwheat pancakes or fruit salad – it’s so good! Make sure you’re buying a good brand (anything that says it’s virgin, organic and raw is a good starting point) – we’re big fans of Lucy Bee and Biona. Coconut water is nature’s Lucozade – believe it or not, the ingredients in coconut water are more effective at hydrating the human body than energy drinks (it contains five types of essential electrolytes). So whether you’re hanging from a Saturday night on the town or you just need a post workout boost, grab a carton! Most supermarkets now stock coconut water nowadays, but make sure to check the ingredients as some brands have added sugars – not cool! Our faves are Vita Coco, Zico, Naked, Unoco and Chi. Coconut milk is often used in curries and sauces due to it’s creamy texture. It’s pretty much a vegan’s dream, as it can be used in cooking or baking as a great cow’s milk replacement. You can buy it in supermarkets, but check the ingredients on the can to make sure there aren’t heaps of unfriendly ingredients in there. We recommend buying Aroy-D online, as it is sold in BPA free cartons and does not contain preservatives. Coconut cream is probably our favourite thing ever. Some supermarkets sell it in cartons, but again these quite often have nasty additives, so we’d recommend steering away from them. Instead, make it at home by simply leaving a can or carton of coconut milk in the fridge overnight. The magical powers of your fridge will cause it to separate (Paul Daniels eat your heart out) so that you will be left with a solid (the coconut cream) and a liquid (coconut water). But that’s not the only magic trick we have up our sleeve – if you combine the coconut cream from one can with 4 tbsp cacao and 3 tbsp maple syrup and mix it all together you’ll be left with the most AMAZING vegan chocolate frosting you could ever imagine. Coconut yogurt is just pure heaven. We can’t get enough of it! It tastes just like dairy yogurt, but is made by essentially combining coconut milk with probiotics and tapioca starch. It’s super healthy and so good with fruit salad or in a smoothie to make it lovely and creamy. Our fave brands are Coyo and Coconut Collaborative. Desiccated coconut is a great little addition to your breakfast, main meals or snacks. Sprinkle it on your smoothie bowl, add it to your korma, or roll your energy balls in it. It’s delish. So if you weren’t going loco for coconuts already, we bet you will be now!